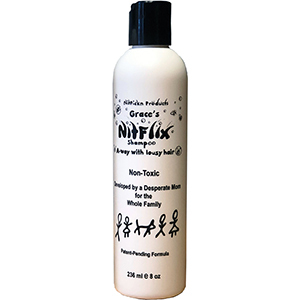 When you order our treatment package you’ll receive a 8oz bottle of Grace’s NitFlix® Shampoo plus a 12oz bottle of Grace’s NitFlix® Conditioner in one package. 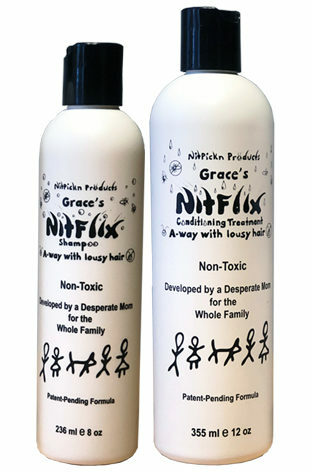 Please know Grace’s NitFlix® Shampoo & Conditioning Treatment MUST be used together to be effective. Our goal is you loving our products. 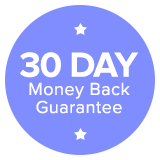 Should this not be the case, we provide a 30 day money back guarantee minus shipping and handling. NOTE: We ship within the contiguous United States only. Please contact us if you’re located in AK, HI, or PR.